Monday, April 1, 2019 4:00-8:00 p.m.
Tuesday, April 2, 2019 9:00-11:00 a.m.
Kay Ann Bohn, age 77, of Lebanon, died Monday, March 25, 2019 at Aviston Countryside Manor. She was born June 24, 1941 in St. Rose, a daughter of the late Filmer and Viola, nee Hug, Rinderer. In addition to her parents, she was preceded in death by her nephew and godson, Jay Jeffrey Rinderer; and a sister-in-law, Betty Bohn. Surviving are her husband, John G. Bohn of Lebanon, whom she married October 24, 1959 in Highland; sons, Terry (Rita) Bohn of Lebanon, Darin (Rhonda) Bohn of Trenton, and Kevin Bohn of Ballwin, MO; grandchildren, Billy (Michelle) Bohn, Sarah Bohn, Stacy (John) Madson, John A. Bohn, Emma Bohn, Ella Bohn, Erica Bohn, Jacob Bohn, Jack Bohn, Jeff Bohn, Joshua Bohn, Alicia Bohn, and Wyatt Bohn; 7 great-grandchildren; brother Darrell (Jean) Rinderer of Highland; brother-in-law and sister-in-law, Paul Bohn of Highland and Eloise Bohn of Trenton; a niece, Michelle Perkins of Highland; and great-nieces and great-nephews. 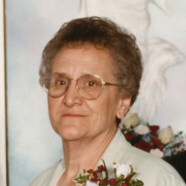 Kay Ann was a homemaker and enjoyed making crafts and spending time with her grandchildren. Memorial Service will be Tuesday, April 2, 2019 at 11:00 a.m. at Moss Funeral Home in Trenton with Rev. Christy Eckert officiating. Visitation will be Monday, April 1, 2019 from 4:00-8:00 p.m. and again on Tuesday, April 2, 2019 from 9:00-11:00 a.m. at Moss Funeral Home in Trenton. Memorials may be made to Clinton County Farm Bureau Foundation Building Fund, American Diabetes Association, or donor’s choice and will be received at the funeral home.